My photography prints are ideal for healthcare and wellness contexts as they promote a positive view of later life. I can put together bespoke packages for any venue. From temporary displays (eg. 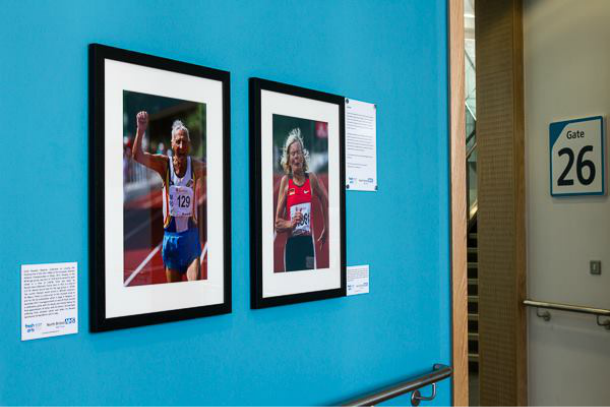 Glasgow 2014 Commonwealth Games) to permanent collections, photographs with explanatory captions have proven to be wonderfully positive, with patients, staff and visitors, who find them inspiring and uplifting. Current clients include North Bristol NHS Trust; Royal Devon & Exeter NHS Foundation Trust; and Pembroke Road GP Surgery, Bristol. I regularly exhibit my work around the country and worldwide. I also offer curated sets of prints for sale.